Wow. It really feels like feast or famine over here on the blog with regard to recipes. One week, I'm writing about ridiculous diet claims or giving a detailed food diary, the next I'm all about making + eating food. I've just felt particularly inspired this week to make different dishes, desserts, and other tasty treats. I am also having a blog identity crisis. But more on that another time. In the summer, I love lemonade, but I never want to make/drink an entire pitcher. This recipe isn't rocket science, but I figure if I didn't think to make a small batch until now . . . maybe it's new to you as well. 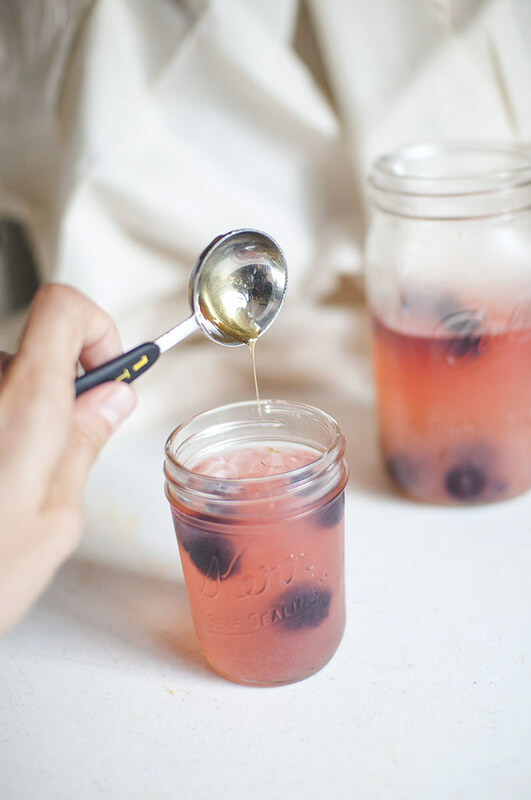 * Feel free to experiment with using agave, maple syrup, or even pure cane sugar -- whatever floats your boat and customizes the sweetness to your liking. ** Would also work great with frozen raspberries, chopped strawberries, etc. 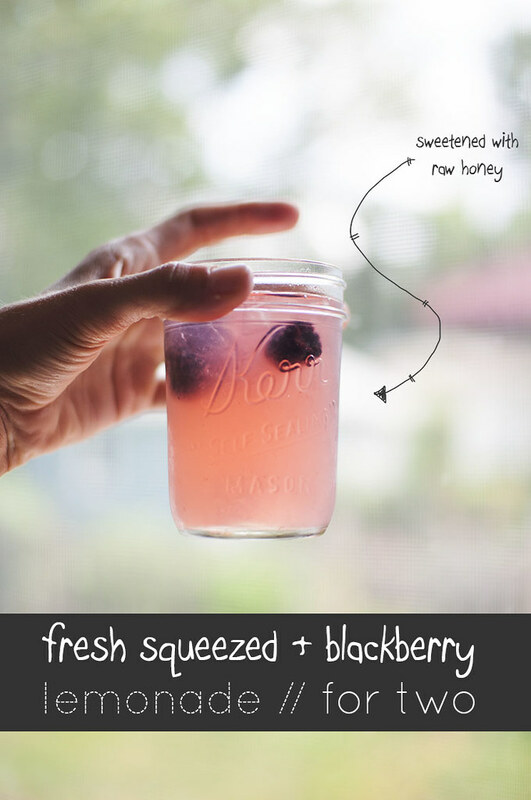 Put the lemon juice, water, and honey in a large glass and stir until raw honey is completely dissolved. Put in however much ice you'd like and then toss in the frozen fruit. Shake or stir around a bit until the fruit releases some of its juices into the drink. It will happen fast. Drink ASAP -- the ice melts fast. Enjoy the thawed fruit at the end of your drinking. What's your favorite hot weather drink? Share your recipe in the comments! I'm thinking of posting a roundup on one of the upcoming Weekend Things posts. Psst: Today we're mixing up batch 2 of our frozen yogurt (batch 1 was the chocolate + coconut, which is almost gone -- I can't believe it!). This time, it's going to be delightfully tart! I can't wait to share.